Sometimes when you take a step back and analyse your lifestyle it could come as a shocker to see that your life has become so sedentary and this could lead to stress and fatigue. We become so engrossed with our work that we forget to indulge in any physical activities that increases the chances of obesity, heart disease and cancer. This will lower your life span and increase the amount of anxiety in your mind. There is no doubt that the fitbit is a fabulous tool to motivate yourself to get yourself moving throughout the day. To understand what makes the device so popular one has to get into the benefits that it offers. 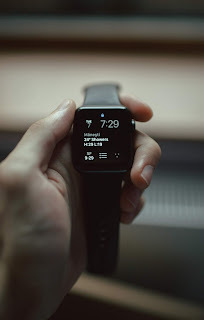 Activity notifications: Experts have suggested that for every hour you should spend a few minutes moving around specially if your job involves you sitting in one position for a long time. It is said that one must walk a minimum of 250 steps in a day. The device will let you set a reminder for every 14 hours. This is a fabulous feature to motivate someone to get up from the couch and be more active. Monitor your weight and calories: Gaining good health often comes with the kind of diet you consume on a daily basis, to be certain that you are not consuming too many calories a day you should buy fitbit. This device will help you monitor your diet and also notify you if you are losing all the extra weight. Tracking sleep: This device is extremely efficient in keeping a track of the hours of sleep you get each night. For this you will have to wear the fitbit activity tracker to sleep. This will also notify you if you are experiencing any disturbance in your sleeping pattern. So, this will give you the chance to make the necessary changes. Water intake: The good thing is that you can tweak this device to notify you regarding your water consumption. With this device you can also plan your water intake on a daily basis and drink the required amount to stay hydrated properly. The number of users for this device is great and you can form a connection with the entire community. This will help you get to know more people and also receive encouragement from the community in achieving your goals. In fact, thanks to this device you can build a big network and participate in events. Why Is Fitbit Ahead Of Everyone Else In The Market? The company has been around for a very long time and has been manufacturing ground breaking activity trackers and fitness watches. The good thing is that the company has introduced major improvements in every new fitbit that the company releases. So, the users never feel that they are using out-dated products. The company has been able to create an image for the devices where they are portrayed as anything but a regular gadget. The reason why this is a successful brand in the market is because it uses many factors to its advantage. The brand has done a good job in spreading awareness at a mammoth scale to the target audience who are into fitness. The company has also struck partnerships with companies like Runkeeper and MyFitnessPal to increase the distribution. 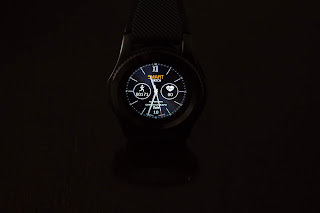 The company has been dominating the industry of wearable devices because it uses a combination of compelling software and marketing strategies. The desktop dashboard and apps have a very comprehensive appearance. The users also get the option of connecting with friends. As of now fitbit has an edge based on its community and software; however the company understands that it needs to exercise caution. There is no doubt that the device has a lot of potential and it can help every user manage their health and fitness. The company has employed a lot of smart professionals who work on improving the software of the device. 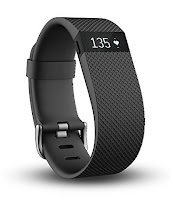 Many other companies are now following in the Fitbit’s footsteps so the competition is going to be stiff. So the brand is now working on balancing its hardware and software to stay afloat in the game. The company has stayed in the game for so long simply because it can study changes that are coming their way and adapt accordingly.